Fall in love with the Good, True & Beautiful. Fr. 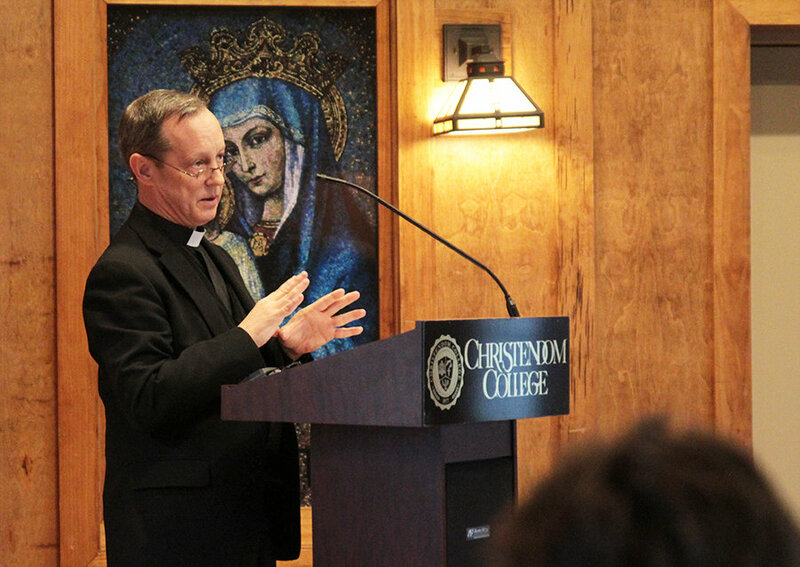 Stephen Brock, Ph.D., delivering the annual St. Thomas Aquinas lecture. For more information about the Faith & Reason Lecture Series contact Dr. Thomas Stanford at tstanford@christendom.edu. Past lectures can be downloaded at Christendom on iTunes U or listened to online via the buttons in the left menu.